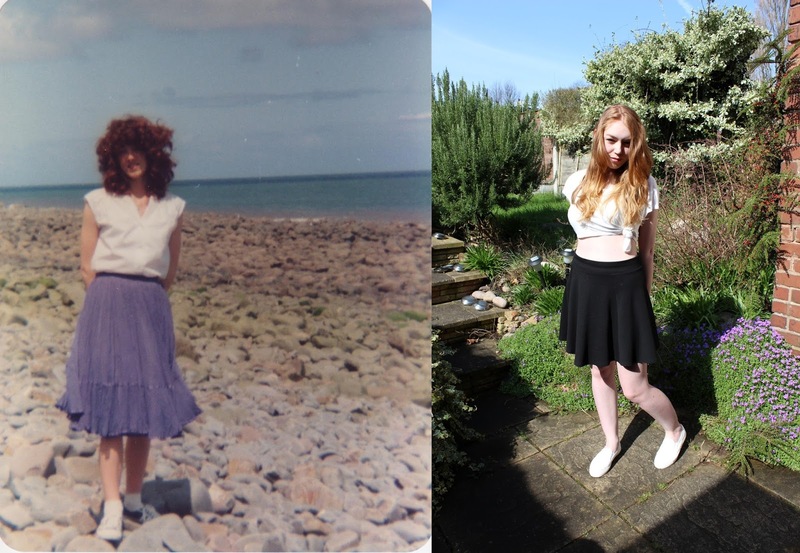 When I heard about Beyond Retro’s Mum’s the Word collaboration, I was excited to begin digging out the old photos of my Mom, and trying to create a modern take on her outfit. I opted for a tie up crop, with a skater skirt and some skater shoes. I really enjoyed recreating a modern take on one of my Mom’s outfits from 30 years ago, and she was excited to help me pick out clothes to try and recreate it!